Breaking News: 10 killed as female suicide bomber attacks Maiduguri mosque – Royal Times of Nigeria. 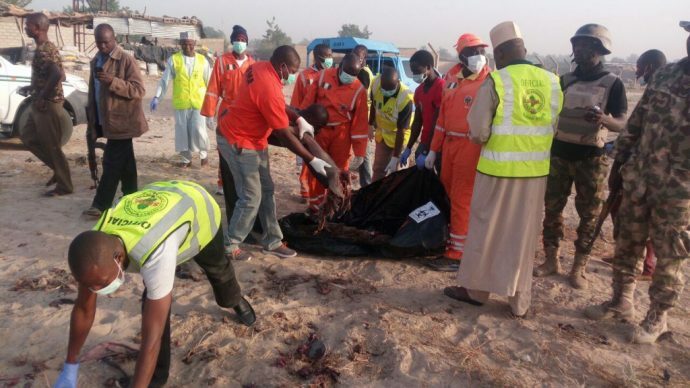 About 10 people have been killed, after a female suicide bomber attacked worshippers at a mosque in Maiduguri early Monday morning, TheCable reports. The Muslim faithfuls were saying their early morning prayers when the suicide bomber detonated the bomb strapped on her. Those who sustained injuries have been taken to the hospital while efforts to take the remains of the victims to the morgue is ongoing.